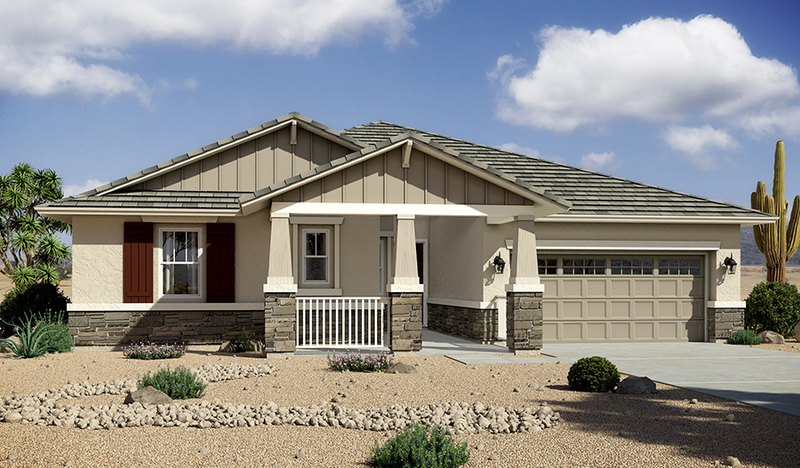 This impressive ranch-style model home includes an inviting great room with multi-slide doors onto the relaxing covered patio and a gourmet kitchen with roomy center island, dual walk-in pantries and a spacious breakfast nook. The luxurious master suite offers a tray ceiling, expansive walk-in closet and deluxe bath with rain showerhead, and is separated from two additional bedrooms for added privacy. You'll also appreciate the quiet study with built-in bookcase, teen room and convenient laundry.